Reus have announced that the club has found the financial resources needed to pay their players and prevent further meltdown at the club. It comes one day after the squad publicly announced that they could look to terminate their contracts due to non-payment of their salaries. 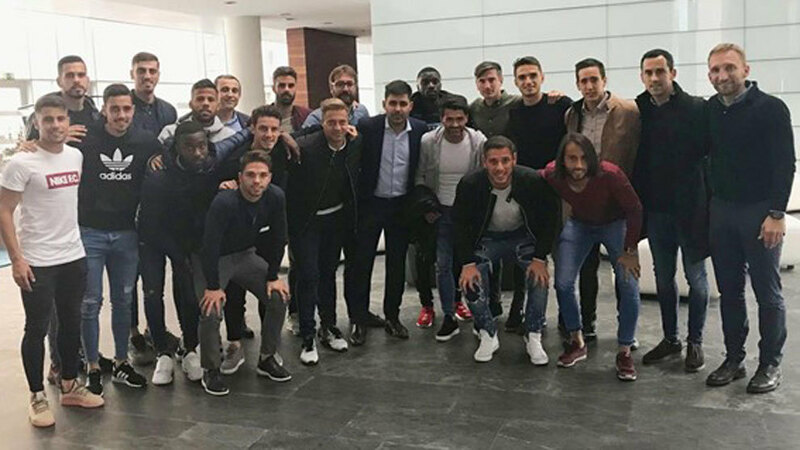 Things looked bleak at the club and going bust appeared a real possibility but they have emerged from the ashes with Saturday’s news and are set to continue competing in LaLiga 123. However, it should be noted that the players have yet to confirm whether the payments have actually been made and it may take until the end of their game against Cordoba before that becomes clear. “The club would like to inform that the corresponding payment has been made to the first team players,” read a club statement at around 2pm. The brief but nonetheless significant statement arrived a few hours before their game at the Municipal Stadium, which will be played in front of a record crowd. No reference was made to the coaching staff or other club workers, at administrative or grassroots level, and it is unknown at the moment if they too will receive payment in the coming hours. Nonetheless, it appears than the club’s major shareholder Joan Oliver has achieved the impossible in the final hours, coming good on the positive vibes put out by coach Xavi Bartolo, who claimed that he was confident things could be solved before Monday. It will also be necessary to wait until next month to know if the payments will return to normal or if this was simply a smokescreen to keep things ticking over for the time being and avoid the club being kicked out of the division before the end of the season.